Our Ogra is going from strength to strength, to cater for the massive numbers we are getting we need more Adult Coaches, Adult help with the registration and Adults to Chop the fruit on Saturday morning. Remember registration is 9.45am so we can start Ogra at 10am sharp. 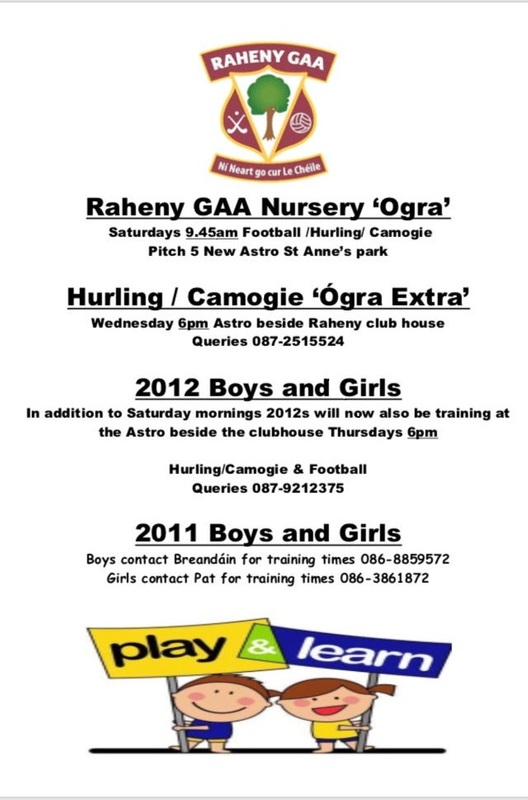 We now have a Hurling/Camogie extra on the Club astro on Wednesday at 6pm, queries to 087-2515524. 2012 Boys and girls will have an extra training session on Thursday at 6pm also on Club astro beside the club house. Call 087-9212375 for more details. Our invited guests include the 2018 All-Ireland winners from our club, Brian Fenton, Brian Howard, Aoife Dooley and Siobhan Woods. The Brians will also be bringing the Sam Maguire cup with them. With dinner, live music from the renowned Swing Cats, a late bar and a DJ, it promises to be a great night. If you have used Way2pay to pay your membership, Choose "Send me a link", then follow the link in the text message to buy tickets. If you didn't use Way2Pay previously for membership, Choose "Register" using the "tickets_only" option and you can then buy tickets. We have also arranged a special discounted rate of €70 for suit hire from Tangos Dress Hire for anyone that needs to hire a suit. If you cannot make it to the club next Thursday, Tangos Dress Hire will honour the €70 rate for suit hire in their shop Tangos Dress Hire, 5 Fownes Street Upper, Temple Bar, Dublin 2 so long as you tell them that you are from Raheny GAA club! 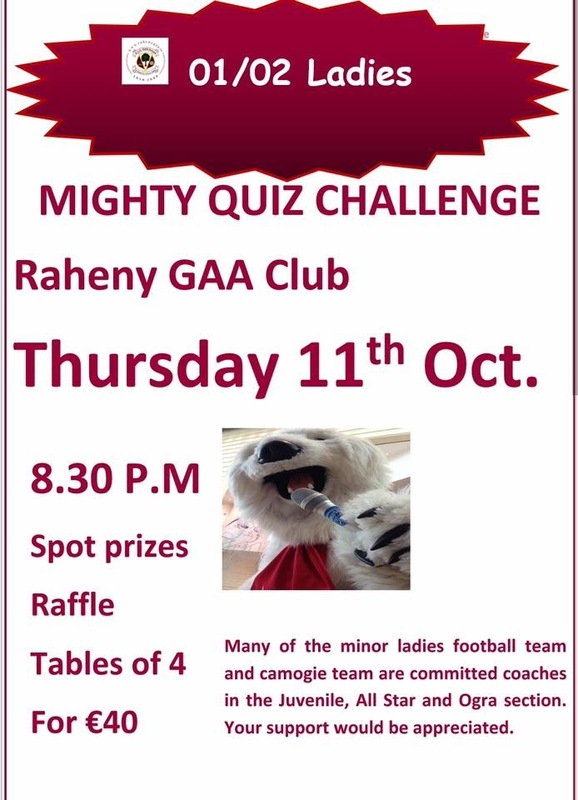 There is a pub quiz on Thursday 11th of October at 8.30pm in the club lounge, this is to raise funds for our Minor ladies Football and camogie, these are a super bunch of girls who give their time freely to the club, some are coaches of the 'All Stars' on a Friday night and some are coaches on a Saturday morning at Ogra. Our Raheny All Stars started back on Friday evening from 5-6pm. 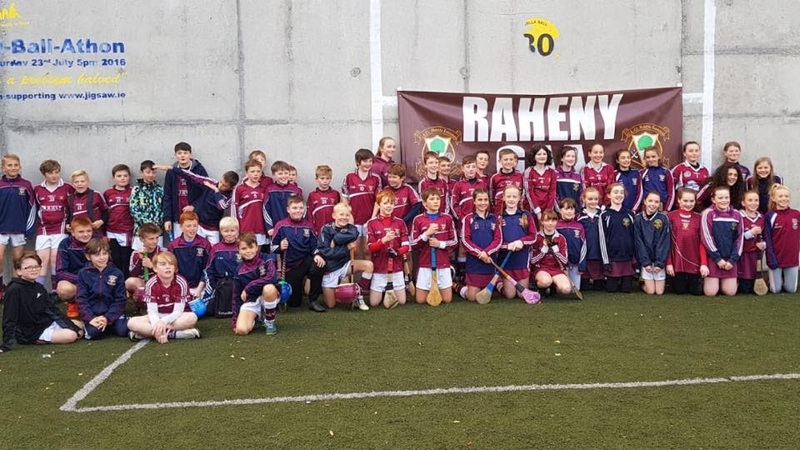 The Raheny All Stars is a team of children (aged 9-13) with special needs who are coached in GAA skills in a safe, structured, supportive and fun setting on our club astro. Would you like to get involved with supporting and developing this exciting initiative ? (must be 16 years old) Please contact Catherine on 086 -250462. Club Shop :- Will be open on the Saturday 9:20 till 12. 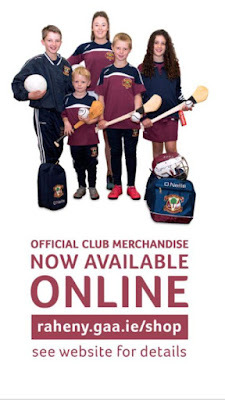 Club gear or vouchers can be ordered online and collected from the bar. 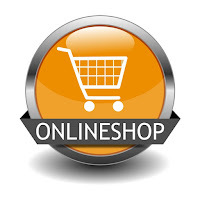 Do you know our club shop is now online, you can order and pay online and collect behind the bar. Saturday 13th October U16 Hurling Championship Semi Final v Cuala in Shanganagh Park, Shankhill Saturday 3pm throw in. 16th man will help get us over the line! Sunday 14th October our AFL4 are looking for your support as they play Kilmacud Crokes in the Junior Championship Semi-Final at 10.30am. 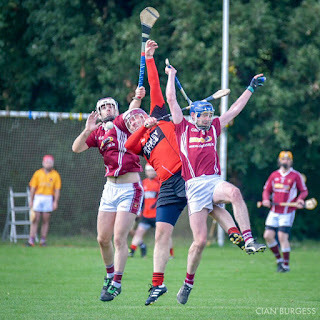 Congratulations to Junior Hurlers and management on reaching the county final, Final score Raheny 3-17 v 1-16 Castleknock. Details of final to follow. 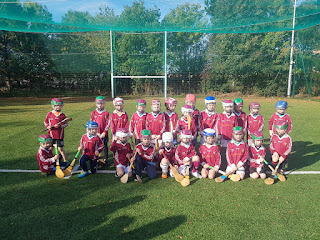 Bright and early on a sunny Saturday morning the U7s Boys made the trip across to St.Marks GAA Tallaght, club of our former GPO David "Dotsy" O'Callaghan. As is always the case news has traveled fast of the hurling skills which our boys have fine tuned over the last number of years. 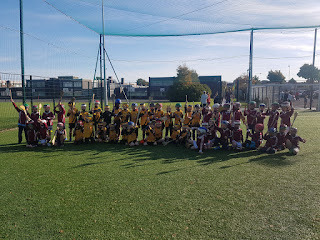 We fielded three hurling teams and the boys played three matches of 15 minutes each. The boys played great hurling attacking and defending with great gusto. St. Marks were great competitors and Dotsy's influence on their striking, blocking, passing etc was there to see. All the players had great fun in the sunny weather and deserved the water and popcorn at the end. We look forward to welcoming St. Marks to Raheny in the near future as they were great hosts. 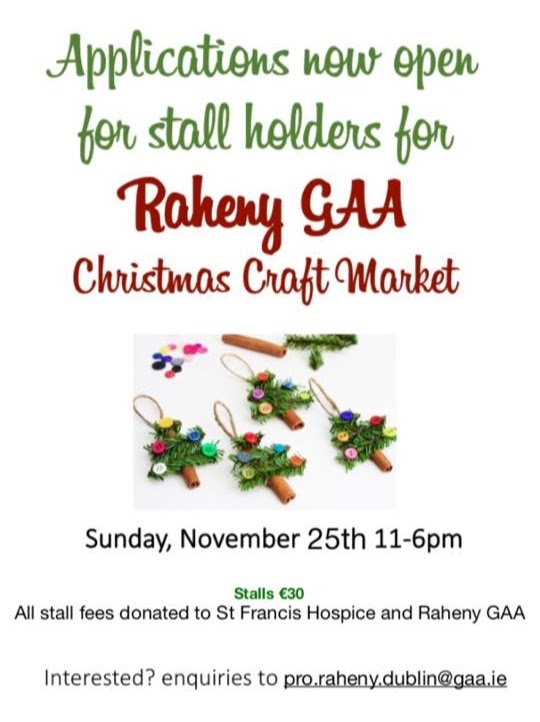 Our Annual Christmas Craft Market takes place on Sunday 25th November 11-6pm, places are filling up fast. If interested please email pro.raheny.dublin@gaa.ie with details of your craft. Brian Walsh Hurley's will hold a pop up shop in the club on Sat 20th Oct from 10am-12pm. Our GAA4MAS starts back this Sunday from 8-9pm on club Astro, if your interested in taking part please contact Ide on 086-3806454. Andrew Dowling on 087-1263439 or Eoin a call on‭ 085-1481386‬. Or just ring the club on 01-8313530. Pitch Alerts The new pitch in St Annes Pitch 5 the astro beside the tennis courts in St Annes is an All Weather pitch and therefore not included in the pitch alerts on a Friday morning. If looking to hire this pitch contact Paddy Moore of Raheny Sports Alliance on 086-7966794. Go n-eiri libh go leir - Good luck all! Unclaimed €25 prizes from previous draws can be collected from the club lounge. Please call in to the club lounge to collect your prize if you havent done so yet. *If you get three numbers in Raheny GAA's weekly lotto (also known as 'hitting the crossbar' ) you will be entered into the €200 Monthly Draw. The draw will take place on the last Monday of each month in the club lounge. 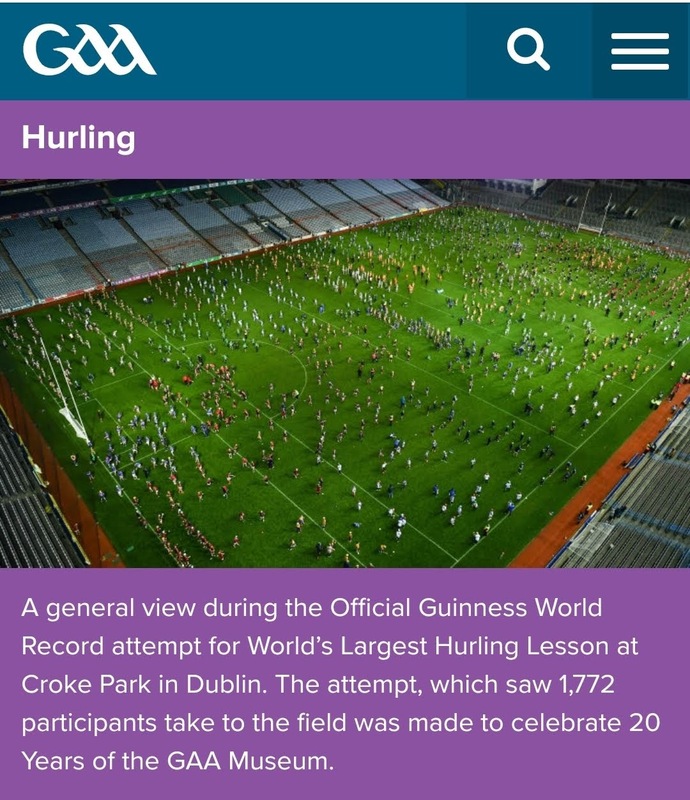 Our U11 and U12 girls and boys had an amazing night on Sunday in Croke Park taking part in a World Record, the largest ever training session over 1770 children taking part. We have also arranged a special discounted rate of €70 for suit hire from Tangos Dress Hire for anyone that needs to hire a suit. Tangos Dress Hire will be in the club next Thursday night (4th October) from 7.30pm to 9pm to measure up for suits and will deliver the suits to the club on the day of the dance. Suit hire includes, shirt, tie and cufflinks. 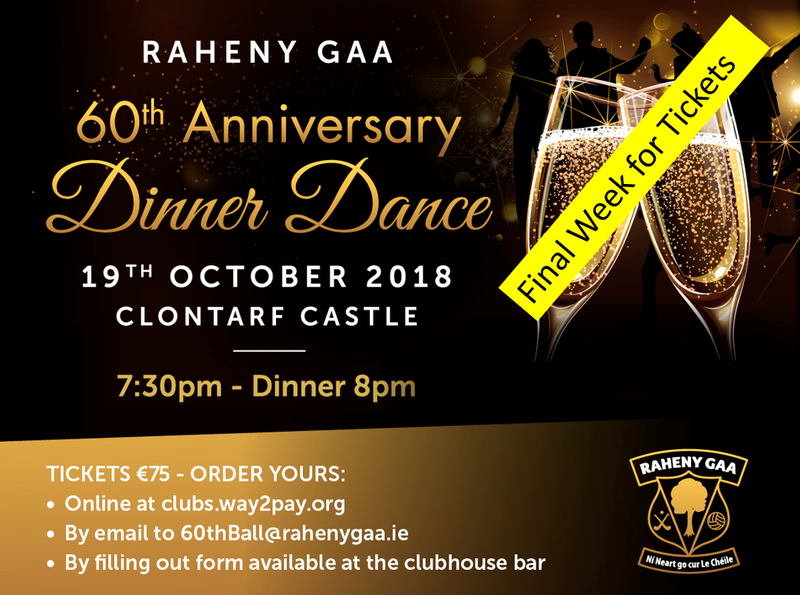 If you are interested in availing of this offer, please send an email with your details to 60thball@rahenygaa.ie. Well done to our Senior 5 Camogie who had a good win over Skerries Harps. The senior 2 Camogie team had their last round robin game of the championship this morning against Kilmacud. This was a must win game for the girls to progress to the championship semi final. The girls started strong with some well placed points from Sarah Kelly in centre forward to start the game. Even after a Kilmacud goal, the girls were very much in control. The two teams were evenly matched and it was end to end stuff with the girls trailing by only a point at half time. Second half was more of the same with notable performances from Lisa Ryan in goals, keeping chances alive with more than a few crucial saves and Aoife Dooley making strong runs down the middle. Hopes were reignited mid way through the half when a well placed pass from Jackie to Niamh McCormack found its way to the back of the net. The girls weren't ready to give up. It was nail biting stuff right up until the last minute and it looked like we had done enough but Kilmacud secured a last minute point and unfortunately the girls had ran out of time. The game ended as a draw (1-10 each) which was enough to see Kilmacud through to the semi final. 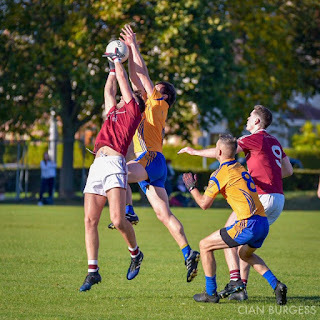 Our AFL4 are now through to the semi finals of the Junior championship after a nail biting game finishing after extra time Raheny 03-11 to 0-16 Na Fianna. Next match for this team is Semi-final against Kilmacud Crokes. Our AFL9 had a great win in the Junior 4 championship v Plunketts and also through to the Championship semi-final. Details to follow. 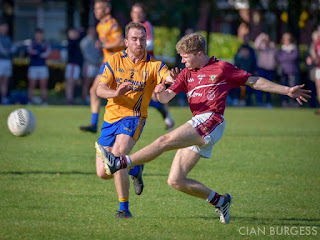 Our Senior Footballers had a win over Na Fianna on Saturday evening Raheny 2-13 to 2-09 Na Fianna. Well done to our Minor Hurlers who also had a win on Sunday morning. A great evening was had by all involved on Friday evening when our annual battle of the schools took place, thank you to all who volunteered and helped out on the evening. Our club like most clubs is run by volunteers, parents, players, retired players. We are always looking for help, get involved become a volunteer and make friendships that will last a lifetime. Thank you to Liam Dunne (Dublin Minor Footballer and Hurler) who brought the Hanrahan Cup to Ogra last Saturday, hard to believe a short 12 years ago he was at Ogra himself. Check out our trip down memory lane on Facebook over the next few weeks, we want to show you why we are celebrating our 60th Anniversary in the club, take a look at our teams, our volunteers, our history of our Club. 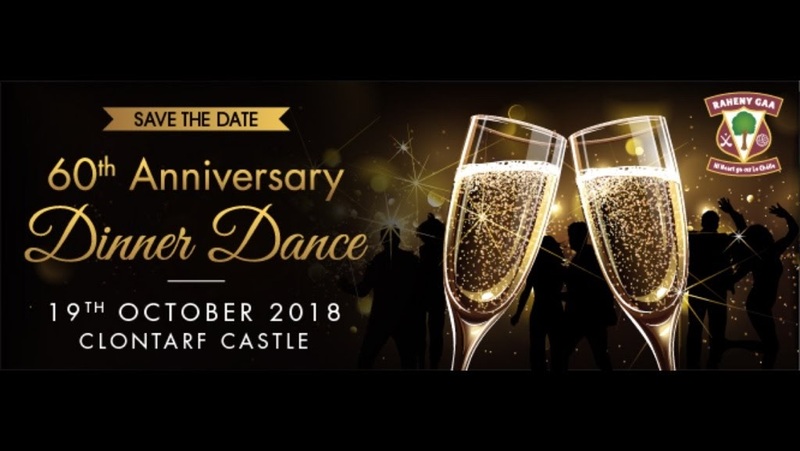 Help us celebrate 4 All Irelands this year in style in Clontarf Castle on 19th October. Tickets are available online or in the Club lounge. Our Senior Footballers are playing at home on Saturday 4pm (Please note time change) v Na Fianna pitch 9. All support very welcome. A great win for the Senior 2 Camogie girls 1-13 to 1-07 v Erins Isles, Final Group game of the Championship next week at home. Looking for big support. Hard luck to our Senior 5 Camogie who lost away to Faughs GAA on Sunday afternoon. 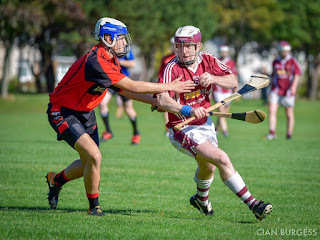 Well Done also Junior Hurlers in the Junior Championship Quarter Final , Raheny 5-12 to 4-07 Trinity Gaels.